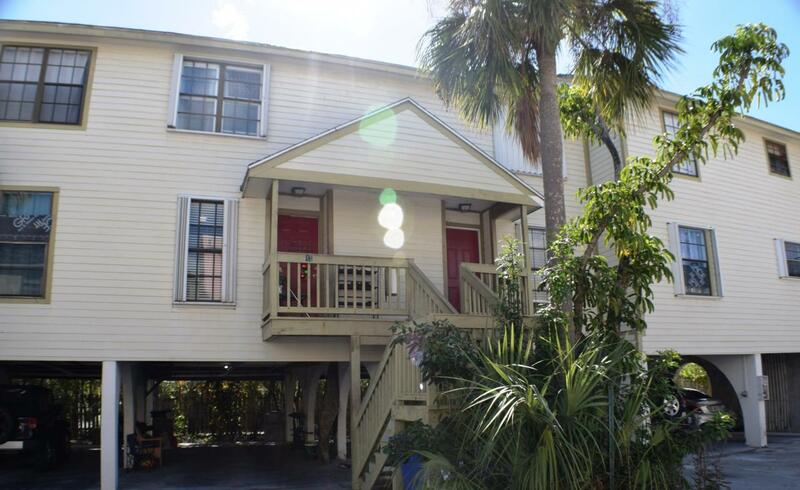 Large 2 bedroom 2.5 bath condo centrally located in Key West, close to shopping and schools. This unit has a screened in porch, kitchen and living space on the first floor with bedrooms and bathrooms on the 2nd floor. This unit also has two covered parking spots below the unit . The condo fee includes exterior unit insurances and maintenance ( new metal roof completed and exterior work in progress, to be followed by paint). The property also offers an Olympic size pool. Listing courtesy of Sean Farrer, P.A. of Coldwell Banker Schmitt Real Estate Co. (Kw).